The deputy head of Russia's State Duma Committee on Foreign Affairs said that by taking a decision to search the Russian property in San Francisco, representatives of US diplomacy show their lack of professionalism. MOSCOW (Sputnik) – By taking a decision to search the Russian property in San Francisco, representatives of US diplomacy show their lack of professionalism, Alexei Chepa, the deputy head of Russia's State Duma Committee on Foreign Affairs, told Sputnik on Saturday. 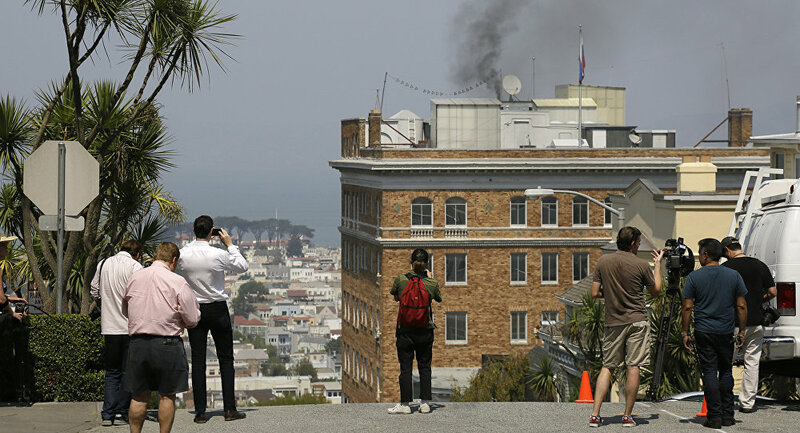 On Friday, the Russian Foreign Ministry said that US security services were planning to search the premises of the Russian Consulate General in San Francisco, including the apartments of consulate staff. "Such actions, they characterize precisely the times of the Cold War, when there were similar difficulties. Absolutely foolish actions of the Americans… They should be ashamed. And today the US diplomacy demonstrates its unprofessionalism and harmfulness of its policy that they [the United States] are conducting in the world," Chepa said, stressing that such attitude and behavior of the United States did not contribute to the improvement of relations between Moscow and Washington. At the same time, the lawmaker suggested that in this particular case Russia should not take retaliatory measures. "We will take a note, of course, but I think it would be wrong to take retaliatory measures against this, do stupidity against stupidity," Chepa noted. On Thursday, the State Department said in a press release that Washington had demanded that Moscow close down its Consulate General in San Francisco and two other diplomatic entities in New York City and Washington, DC by September 2, in retaliation for Moscow’s decision to cut US diplomatic staff in Russia by 755 people to 455.